Is it your movie service or is it your assistant? 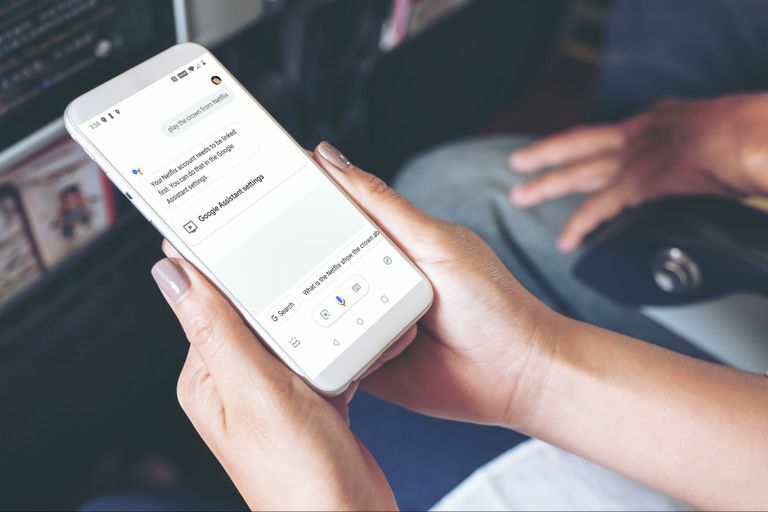 Google Assistant is a virtual assistant that allows you to perform tasks like making appointments, sending text messages, and even playing movies from a variety of streaming services. Sometimes, however, your trusty assistant just won't play your movies. There are four things to try when your Google Assistant won't play your movies. When Google Assistant won't play movies anywhere, it's usually an issue with the app not having sufficient permissions. When it won't play movies from a specific service, it's usually because you're using the wrong Google Account, or you haven't linked the streaming service to Google Assistant. When Google Assistant isn't able to play movies, the first thing you should check is whether it has the correct permissions. On an Android phone, permissions are the way that you can allow an app to access various things like your microphone, local storage, and your contact information. Google Assistant needs access to your microphone, at a bare minimum, to be able to hear your voice commands. However, it also needs access to a variety of other permissions to carry out all the tasks that it's capable of doing. Make sure that the Google app has the appropriate permissions. If any of the sliders are slid to the left or grayed out, slide them to the right. Google Assistant may not need every single permission to play movies, but granting it access to everything will allow you to see if this is the problem. If Google Assistant can play movies after granting it full permissions, you can try removing the ones you don't want it to have to see if it still works. Check to see if Google Assistant is able to play movies. Google Assistant is designed to play movies from Google Play Movies right out of the box without any cumbersome linking process. However, you need to use the same Google account for Google Assistant that you're using for Google Play Movies. If you have multiple Google accounts, and there's a mismatch between Google Assistant and Google Play Movies, that can cause problems. If you have an older version of Google Assistant, you may need to tap the blue inbox icon. Tap the Google account you want to use with Google Assistant. If you don't see the Google account you want to use, tap add account and follow the on screen prompts. Open the Google Play Movies & TV app. Verify that the account shown at the left is the same as the account that you selected in step three. If it isn't, then tap the user icon associated with the account that you selected in step three. Open Google Assistant, and check to see if Google Assistant is able to play movies. Google Assistant can play movies from a large number of sources, but it only works if you have linked each streaming service to your Google account. Most services have to be linked, including streaming services like Netflix and HBO. In some older versions of Google Assistant, you need to tap the blue inbox icon instead. Tap a video service, like Netflix, that you want to link to Google Assistant. Enter your login credentials, and tap Sign in and Link. If your video streaming service supports it, select a profile for Google Assistant to use. Repeat these instructions to link any additional video streaming services that you want to use with Google Assistant. Open Google Assistant, and check to see if it's able to play movies. If Google Assistant still can't play movies, even after you have checked its permissions and linked your movie streaming accounts, then there may be a problem with your Google app. Google Assistant relies on the Google app to function, so any corrupt data in the Google app, or a bug in a recent update, can cause problems. In some cases, restoring your Google app to the state it was in when you first got your phone will allow it to play movies again. This is especially likely if your Google Assistant used to play movies, and it stopped after you performed a recommended update. Once you have reenabled the Google app, you can check to see if Google Assistant is able to play movies. If it hasn't, then your last option is to install the latest update. Your phone will download and install the latest update for the Google app. Once it's done, you can check to see if Google Assistant is able to play movies. If it still can't, then you'll have to wait for Google to issue a patch to fix your problem. You can visit the official Google Assistant support forum for additional information and to report your problem.